Don't Mind if I Do: Dessert, Breakfast, or Meal? Pour the flour and salt in a bowl and break the eggs in the middle. Mix into a thick batter. Add the melted butter, and while whisking, pour the milk gradually, little at a time. Mix until you get the perfect texture: neither too thick nor too liquid. It must be thinner than pancake batter with no lumps. [helpful hint: the consistency of the batter should be thin enough to easily spread smooth across the pan, but thick enough that it doesn't break when you flip it over.] Leave the batter to sit in the fridge for an hour or so if you can, but if not, start making the crêpes. To make the crêpes, heat a little butter on a medium size, flat, NON-STICK pan on LOW heat and pour on a thin layer of the batter. The trick here is to lift the pan off of the heat, ladle the batter onto the pan and swirl it around until it forms a thin, even layer, then put it back on the heat. When the one side is lightly browned, flip it to the other side. Repeat until all the batter is gone. 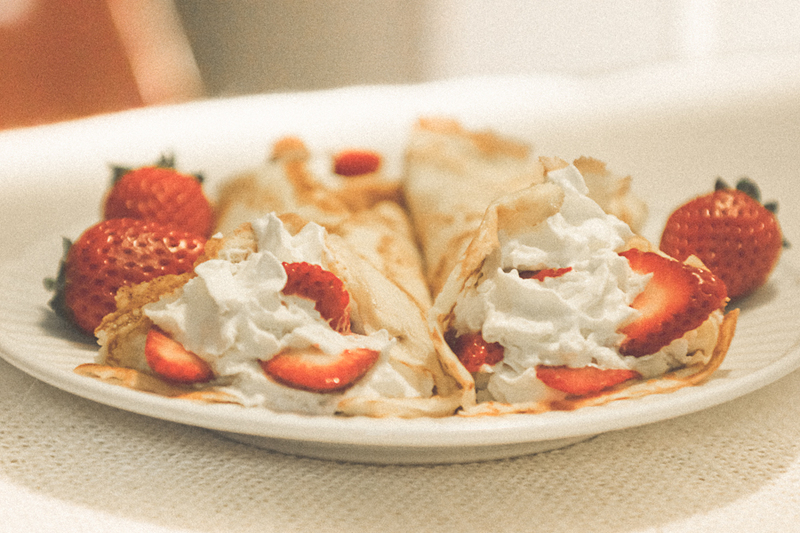 Top it with your favorite combination of toppings -- for sweet crêpes, add berries/fruit + whipped cream, nutella + banana, or lemon juice + powdered sugar -- for savory crêpes, add shredded chicken, sauteed spinach, mushrooms and onion in a white cream sauce, sprinkled with cheese. Enjoy! YUM!! 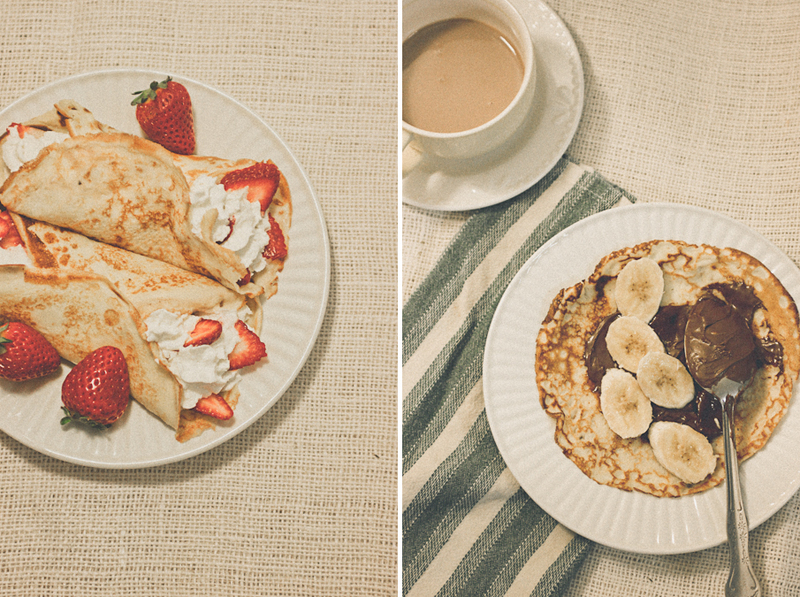 I'll have to try out this recipe ~ I LOVE crepes! Thanks for sharing!